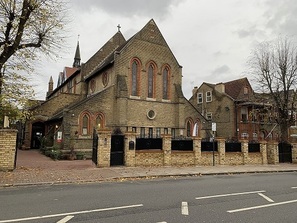 Burlington School was established in 1990, and is located in the fashionable residential area of Parsons Green, 15 minutes by underground from the centre of London. We have a large building with spacious classrooms. Our standard of teaching is high, with courses in general and specialist English, such as Business English, exam preparation and for English for Young Learners. There is a library and computers with free internet. The coffee bar, with a large television, is open all day serving freshly-cooked meals, and the school organises a range of social activities to complement the classes. Students live either close by in homestays or in one of our student residences, one of which is situated above the school. There is a dedicated welfare team who take care of the students. We also run residential summer centres for Young Learners at locations such as Ardingly College in West Sussex.